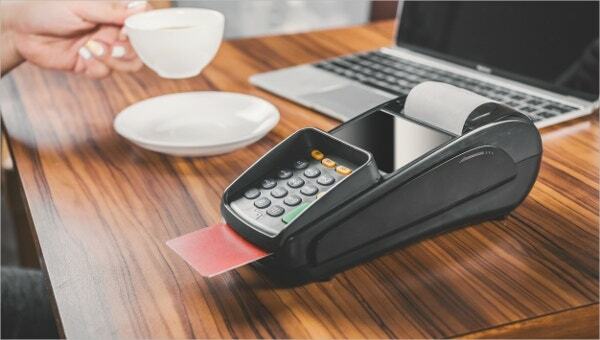 A cash receipt is something most of us are already familiar with – in simpler terms, a cash receipt is a bill. When you buy something from the store, there has to be some kind of record of the purchase made and the transaction that was carried out. To maintain this record, you need a bill or a receipt. 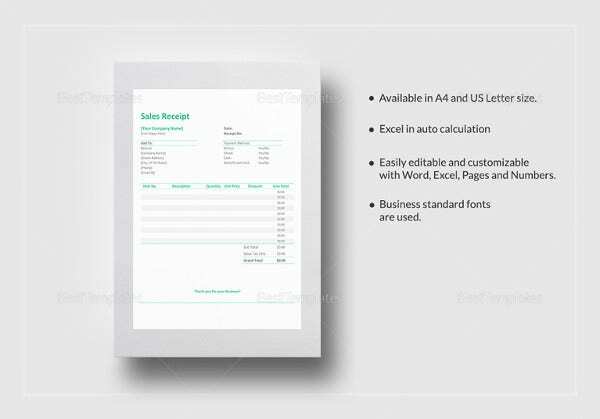 If you want to design cash receipts on your own, then you can do so with the help of these receipt templates here. 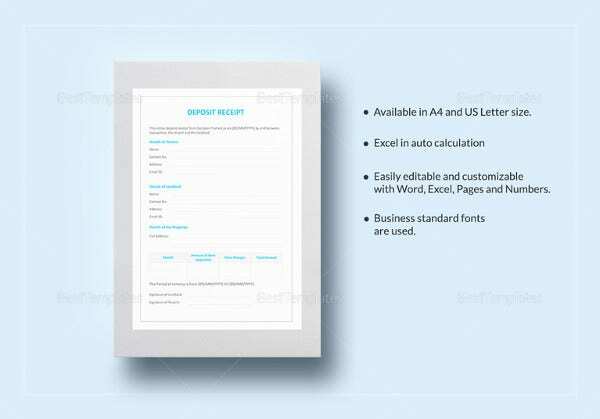 When it comes to daily cash receipt templates, it is best to go for free templates. That way, you can download it as many times as you wish. Also, you get a top quality template here. 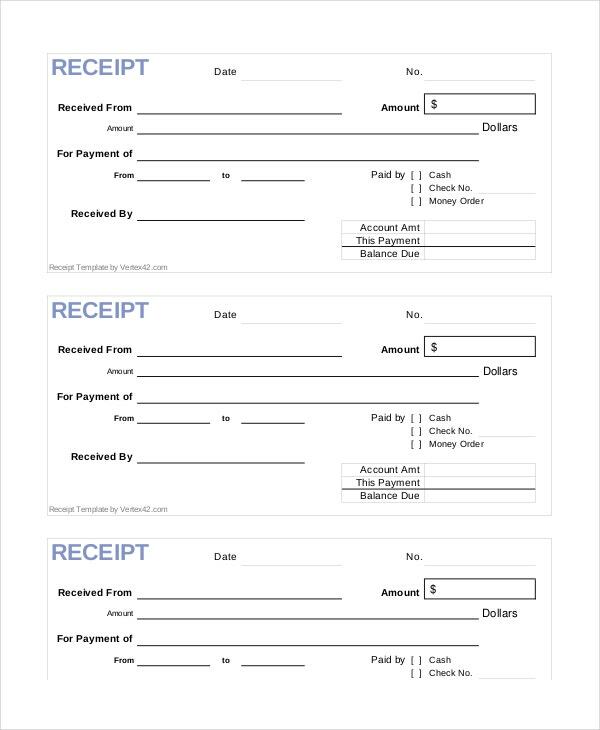 You can also see Deposit Receipt Templates. 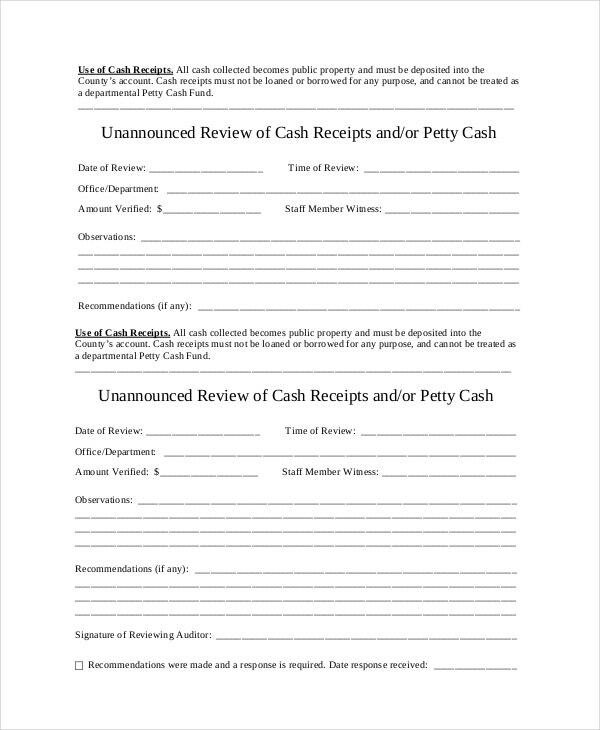 This template is an example of a record of cash receipts. 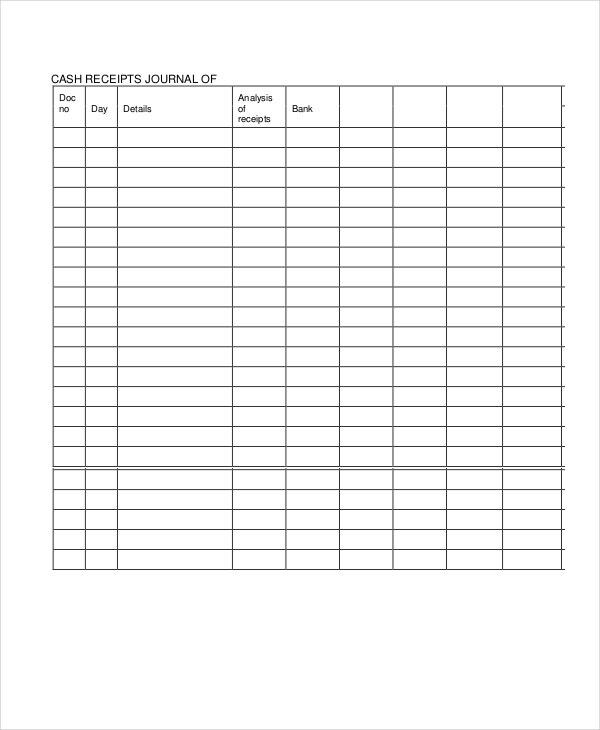 The cash receipt journal here is neat and tidy, well organized, simple, and professional. It doesn’t beat about the bush and sticks to the point. 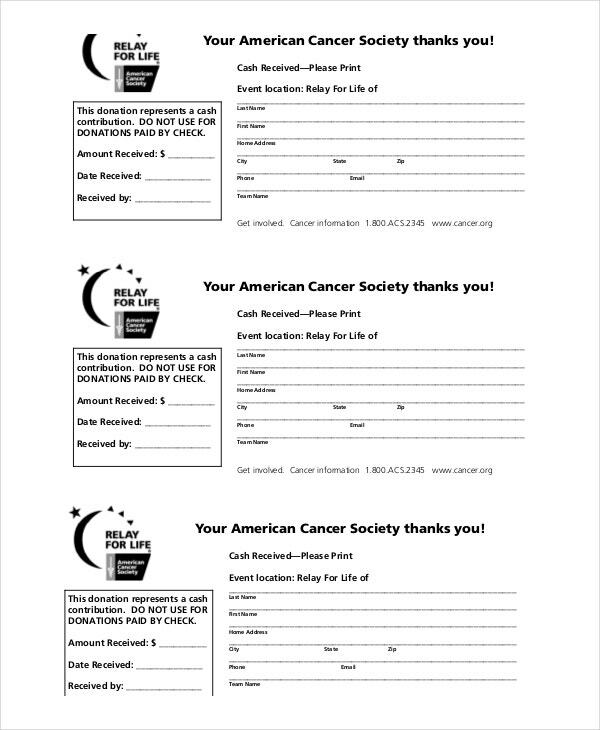 You can also see Money Receipt Templates. 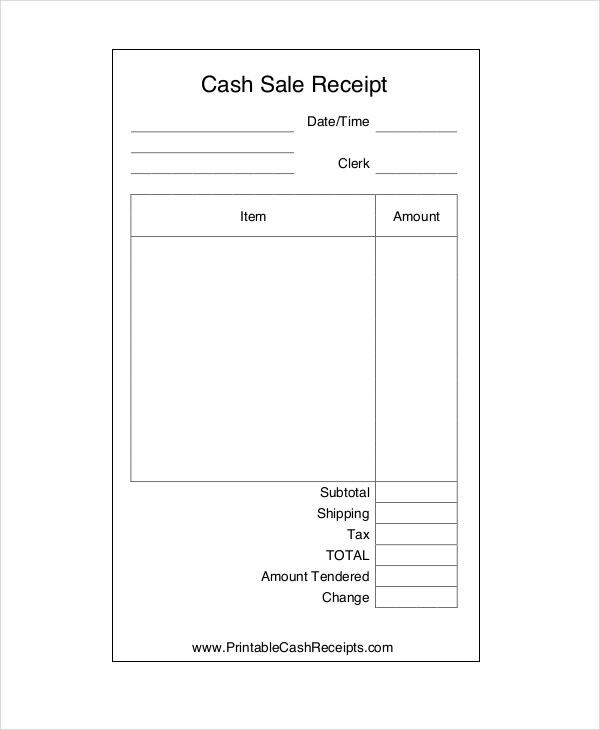 This is an example of a cash sales receipt template which takes into account both the cash receipts and the sales record. Plus, the template is pretty easy to use. 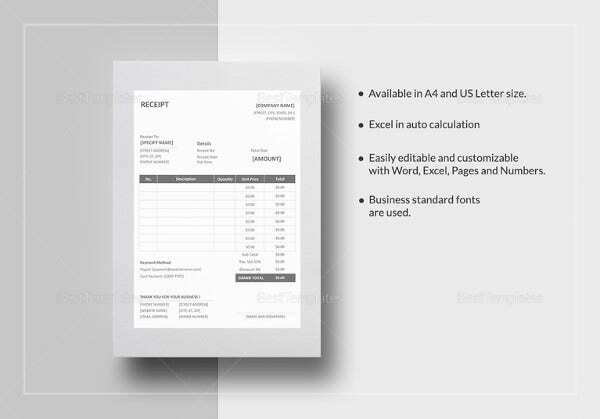 The cash receipt templates usually have a fixed format. If you have noticed, they all look more or less the same. Unless you manage to stick to the pattern or are perfectly aware of the format, you should seek professional help. That is where these templates come in handy. 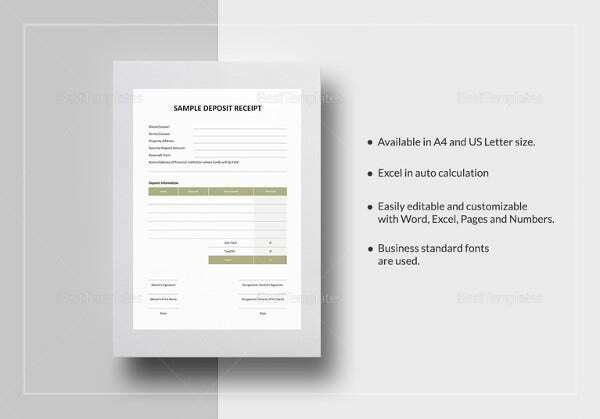 Also, the cash receipt templates have been designed by professionals and are exceptional in terms of design. These templates are pretty easy to use. 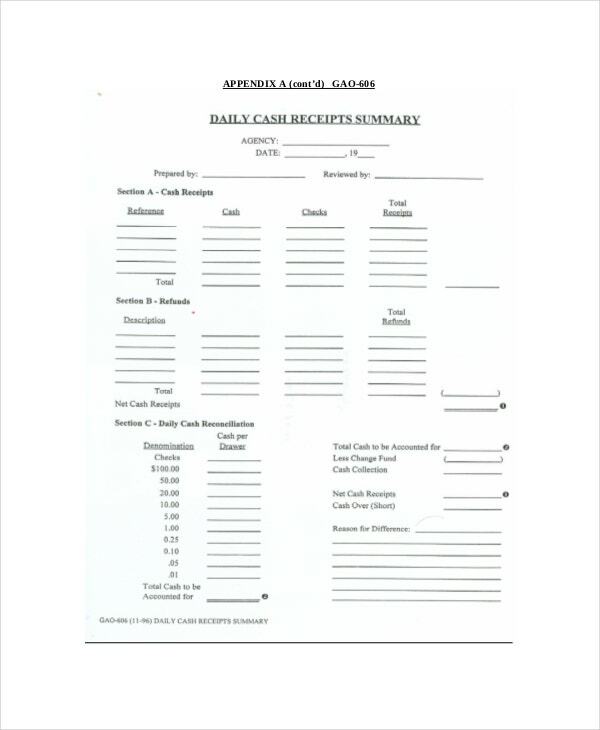 The money receipt templates that you see here can be used by anyone. 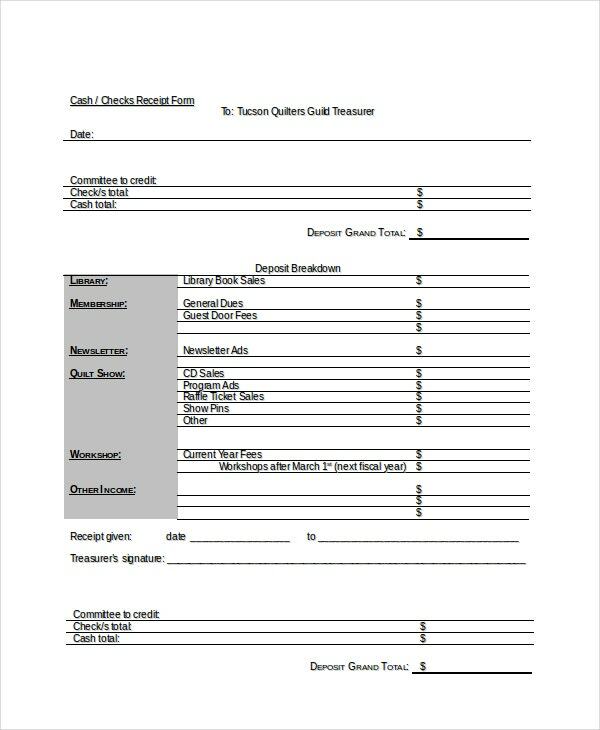 This cash receipt form here is largely blank; that allows you to experiment with the template any way you please. 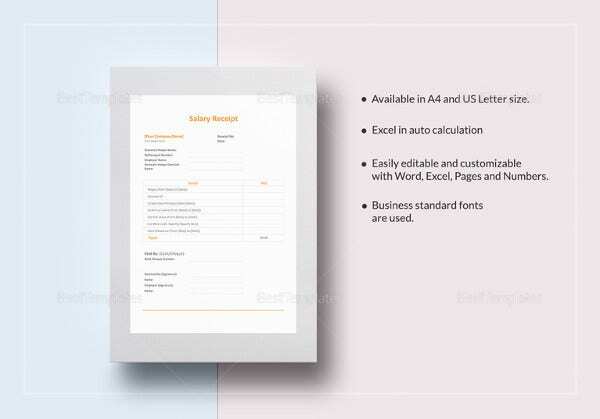 Also, you will be able to incorporate your own details into the template. 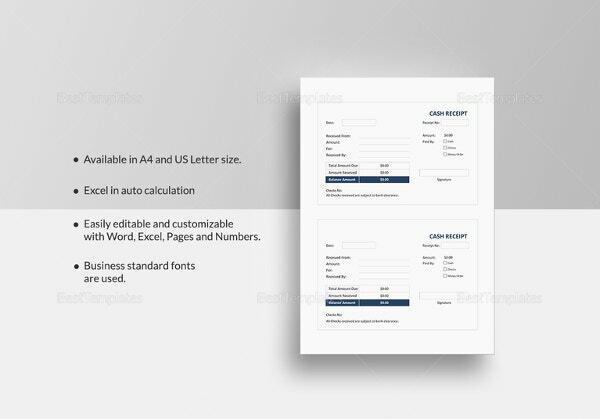 Go for cash receipt templates that come with customization options. 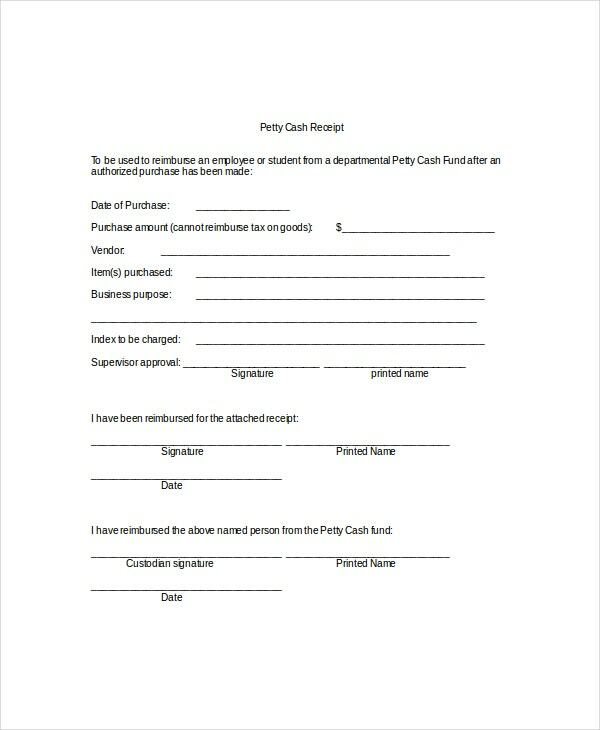 You are going to use the same template and format every time you use a cash receipt. Thus, you should be able to tweak the details when you use it each time. The cash receipt should have a no nonsense look and should be easy to understand. Including as many details as possible will not help; keep your cash receipt as short and to the point as possible. 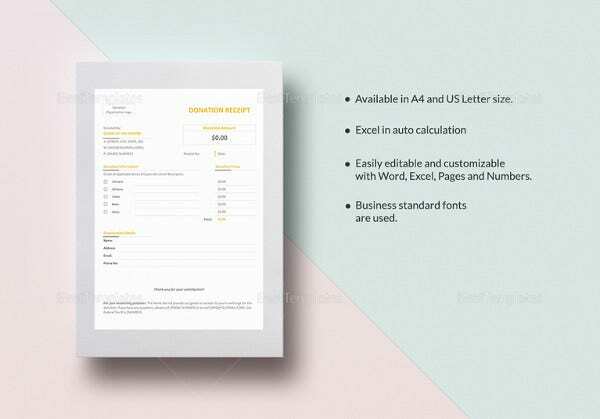 In this section, you have come across some of the supreme examples of payment receipt templates. 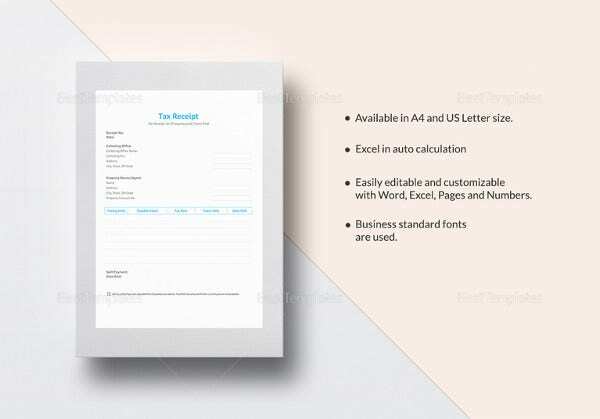 The templates follow the universally accepted format of pay receipts strictly and bear a professional outlook. Plus, the templates are rather simple and devoid of any kind of excessive design.